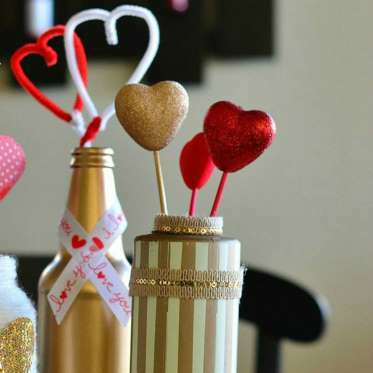 Valentine's Day Crafts that are great for gift giving! 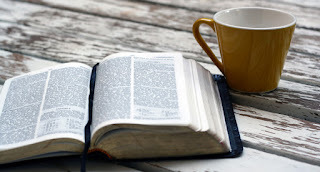 There is a gift idea here for anyone ~ co-workers, teacher, neighbors and friends! 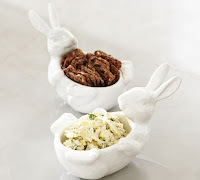 This craft pulls double-duty: It keeps the kids busy, and you'll have a cute, sturdy decoration ready in under an hour. Click here for tutorial. 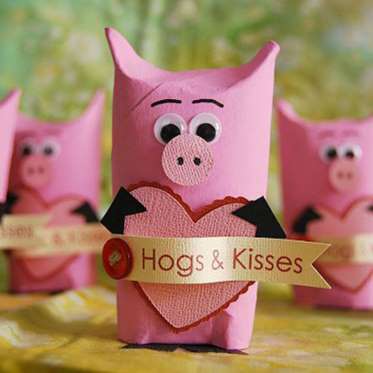 Save those toilet paper and paper towel rolls to make these sweet-and-simple cardboard tube piggies bearing heartfelt Valentine's Day messages....you could even fill them with candies even. Click here for tutorial. 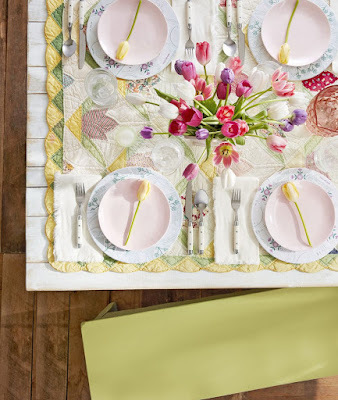 Paper plates and yarn are two extremely versatile craft components. 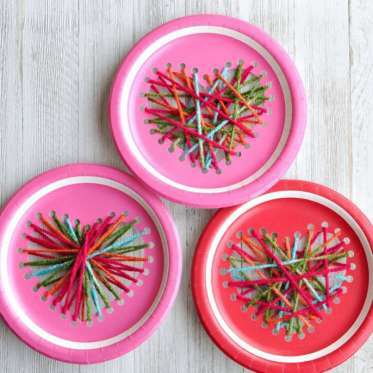 "Sewing" the yarn heart into the plate will be a fun and simple way for a kid to show someone they care. Click here for tutorial. Anytime kids get to play with paint, it's a good day in their books. 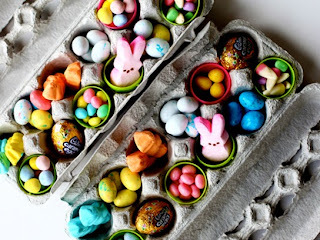 Collect empty bottles and shampoo containers, dress them up with paint, ribbon and yarn, then mix and match for a cute centerpiece. Click here for tutorial. 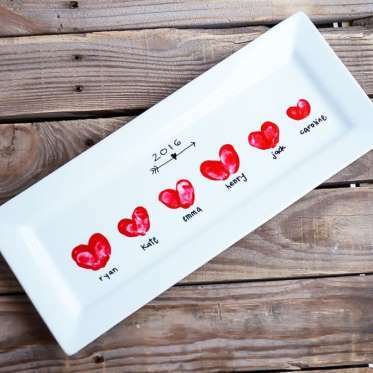 With only an old white serving platter (or even an ordinary white mug, plate, or any other piece of dinnerware), create a keepsake with your kid(s) that will become both a spruced-up household item and a new, cherished memory. Click here for tutorial. 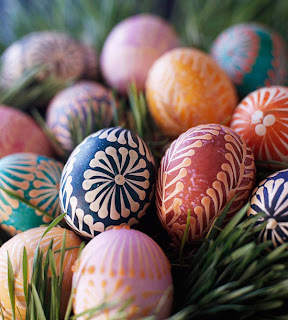 Go on a fun outdoor hunt for a few long branches, then clean them together and paint them white. 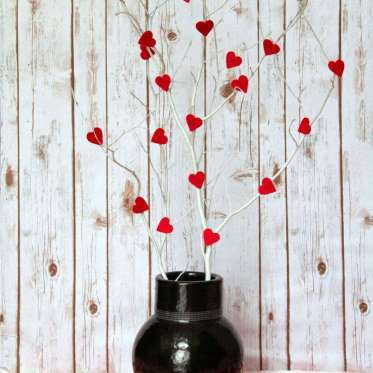 They'll be the base for this adorable Valentine tree you can use to brighten up the entryway. Click here for tutorial. 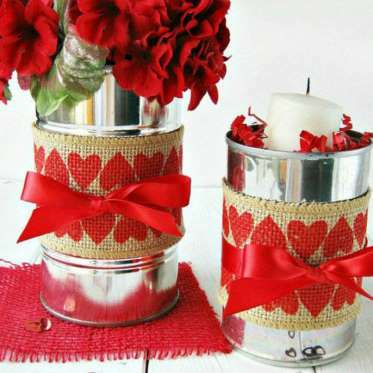 With a little burlap, ribbon, and stencils, transform an old soup can into a vessel perfect for housing that bouquet of roses. Click here for tutorial. Take the kids for a quick stroll outside and have them gather up sticks, leaves, and bits of bark. 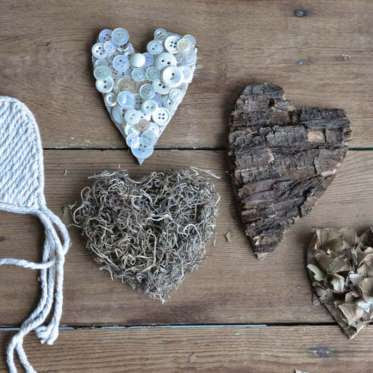 You can craft them into cardboard-backed hearts to display in hurricane vases (fun for them, mess-free for you). Click here for tutorial. Let them work on their spelling skills while putting together an adorable Valentine for Grandma. 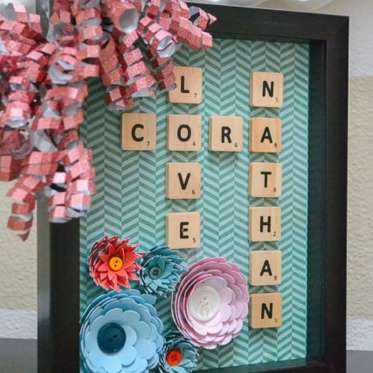 Help attach the tiles to a cute piece of craft paper, add embellishments, put in a shadow box or frame and you're all set! Click here for tutorial. 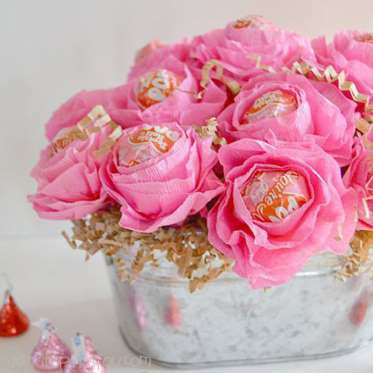 Another fun idea for teacher — instead of an ordinary bouquet, use pink crepe paper and tape to form a lollipop flower arrangement that's got an extra sweet touch. Click here for tutorial. 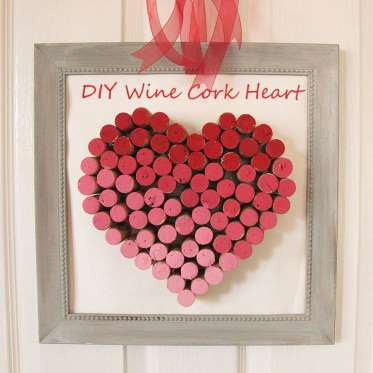 Add some fun pink and red paint to the tops of corks and glue them on a board for a cute holiday decoration.